The entire title of this post is "Introducing Suzanne Eakin, pin loom weaver, crocheter, creator with a special shout out to Noreen Crone-Findlay, the ultimate weaver and artist" but I didn't have room for it. 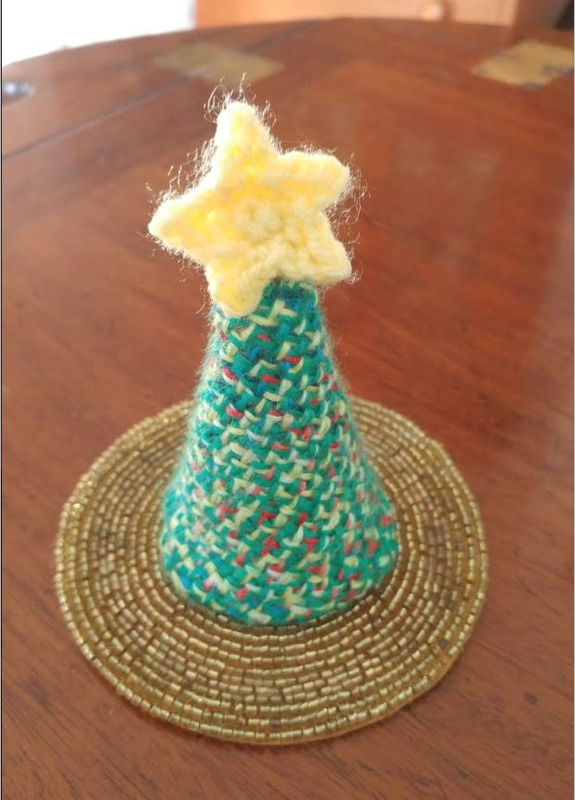 Suzanne has been making some incredibly creative little characters that could light up the day for many. I so appreciate that she agreed to share some of her creations with me. 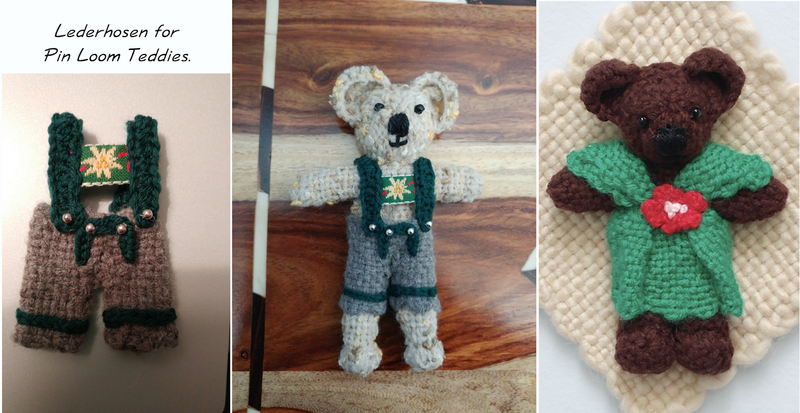 These incredible little teddies are made with 2" and 4" squares using Noreen Crone-Findlay's teddy bear pattern that she demonstrates using a woven potholder square. Suzanne noted that she did add a line of single crochet to the ears to give them greater definition. You can see Noreen's original pattern here. Not only are the bears really cute, but I love the clothes (can you believe it... lederhosen!?) she has designed for them. 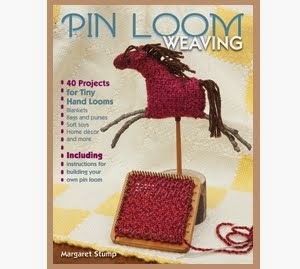 Suzanne shared her take on my pin loom rabbit pattern. You can get a free copy of rabbit pattern, complete with carrot, here. 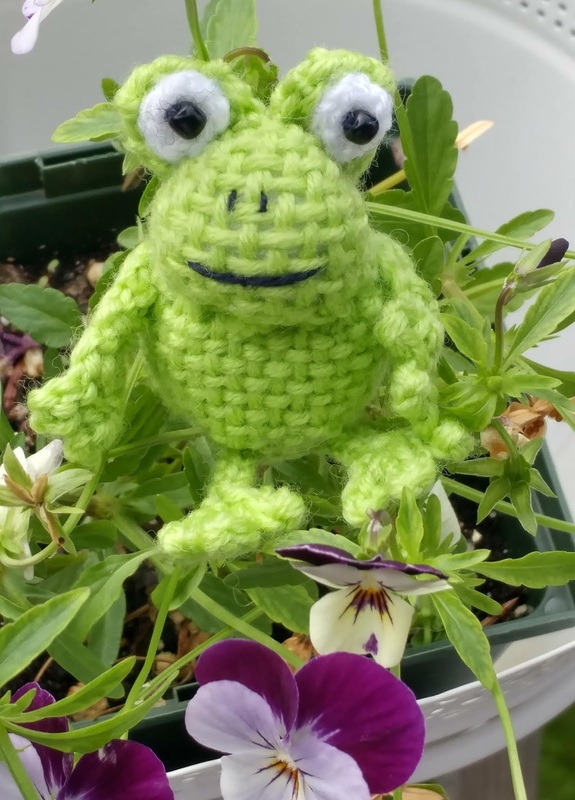 Suzanne made a wonderful touch by adding black beads for the eyes, and I love her little crocheted leaf bed as well. Here's another use of black beads on a woven frog. Suzanne explained that she used much the same technique as with the rabbit, changing the shape a little and adding crocheted frog legs. But that's just the beginning. Suzanne suggested more great items to get ready for Christmas. Angels and Christmas trees and the beginning of some exquisite presents. I think this one is my personal favorite. 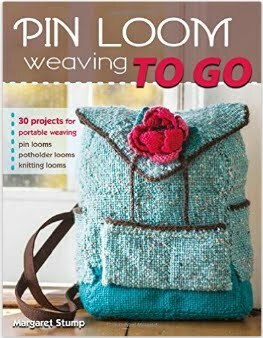 Crochet and pin loom weaving go together like peanut butter and jelly... or at least like peanut butter and bananas. A round of applause for Suzanne! Thank you so much for sharing.